Here is a series of early 20th century sg fragments which were in the pile of glass I got from Mullica Hill Art Glass in Elmer, NJ. 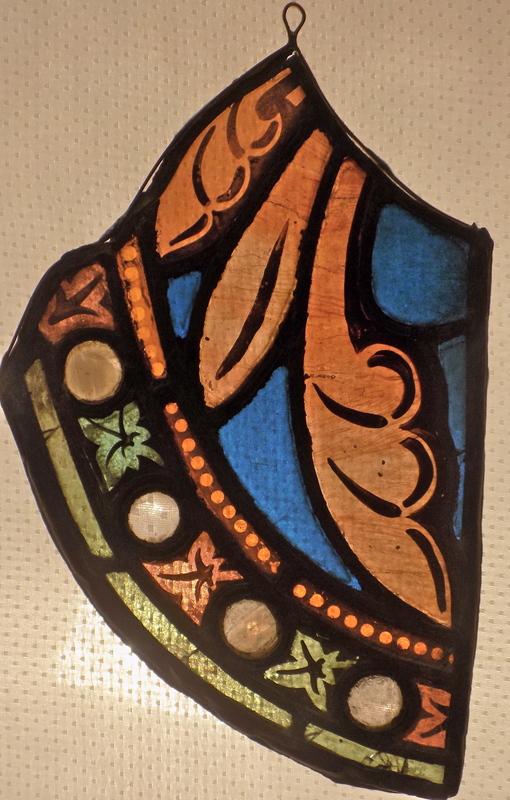 These small pieces display all the complexity of the construction and ornamation of early stained glass art. They are bound by a strip of copper which is soldered to the outside edge of the original lead came. 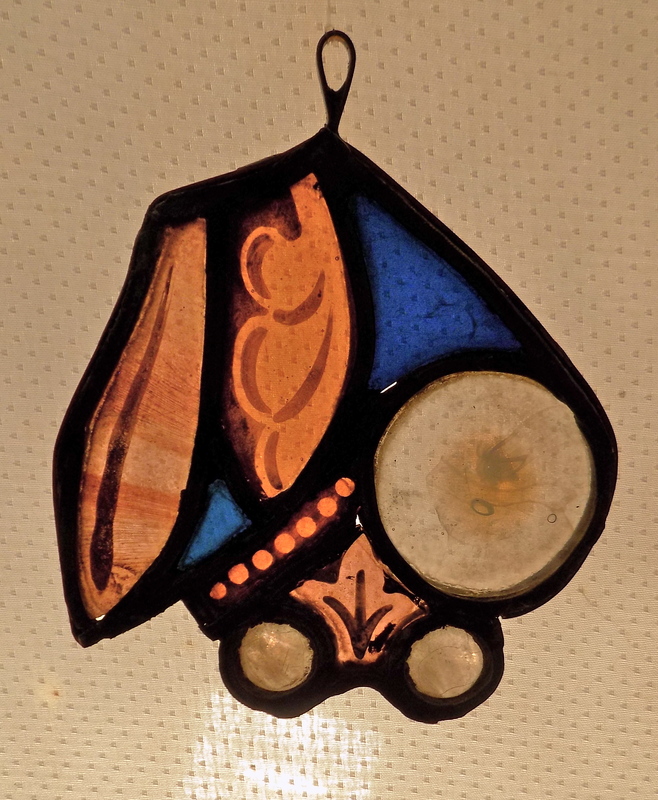 The lead oxidizes and loses structure over time; the copper allows the piece to hang without falling apart. Hang it up! The galleries below are set up using a “slideshow” in random order, so that every time the page loads you’ll have a different arrangement of images. You can hover over any captioned images to read the image caption or…click an image to see the image slideshow. 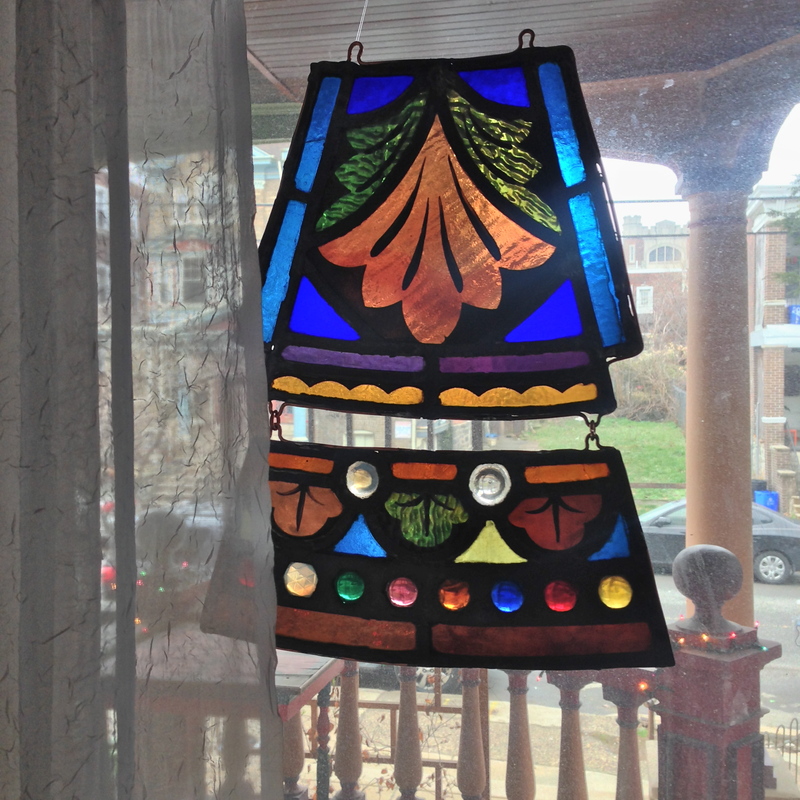 I made a series of five small (8”x11”) glass panels, templated to fit in an existing set of multi-light windows. Each panel is laminated to the inside surface of an existing window; the wire extensions serve to mount the work to the window. Three of the five panels are shown below. When the installation is completed, I will post another photo. These are about 50% recycled art glass.